If you're trying to decide what the next addition to your home bar should be, the Margaritaville® Tahiti™ Frozen Concoction Maker® needs to be at the top of your list. Not only does the Margaritaville® Tahiti™ Frozen Concoction Maker® create perfectly blended frozen drinks like every Margaritaville® Frozen Concoction Maker® , the Tahiti™ Frozen Concoction Maker® has specialty features that make it unique. Check out what sets this one apart from the rest. Do you want a margarita? Does your spouse want a piña colada? Does your friend want a mudslide? You can make all three of these very different cocktails at once, with minimal effort. Instead of making one drink after another and cleaning out the blender jar in between, the Margaritaville® Tahiti™ Frozen Concoction Maker® comes with three separate shatterproof 24-ounce blender jars. You can pour the ingredients for each cocktail in their respective jars then place the jars in the three docking areas. Then just fill up the ice compartment, place each jar on its own settings and watch as the machine blends one drink after another, automatically moving the ice chute to each. After they're blended, pour out three drinks and enjoy. The specialized controls make blending a cocktail a breeze. Although the chute has an automatic function, you can make the machine do whatever you need it to. You can make three drinks or you can just make one for a quieter night. The machine has automatic functions as well as manual ones, giving you complete control over whatever cocktails you want to make. The Margaritaville® Tahiti™ Frozen Concoction Maker® knows what its users like to drink. 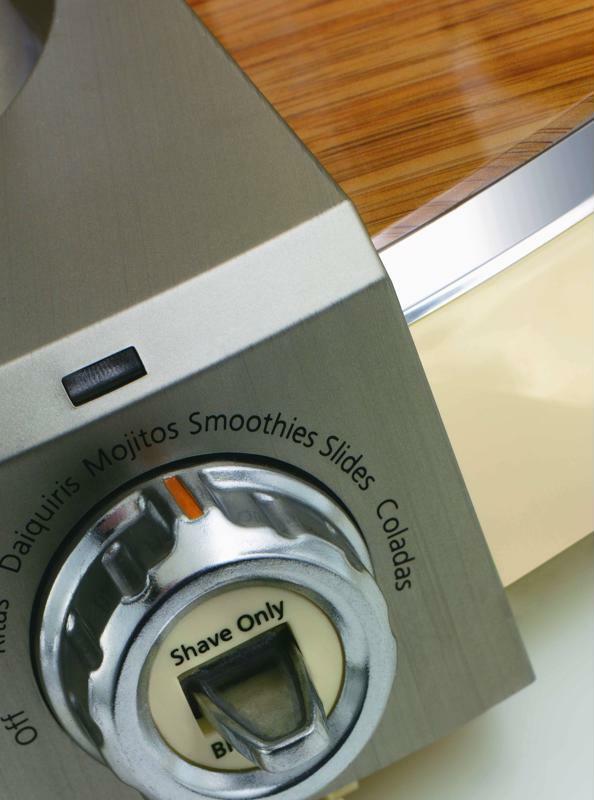 Each of the three sections has functions for Daiquiris, Coladas, Mojitos, Mudslides, Smoothies or Margaritas. It also has functions for simply blending or shaving ice to get the perfect consistency. You may expect a frozen concoction maker that can make three drinks at once to look bulky, but the Margaritaville® Tahiti™ Frozen Concoction Maker® has style. The stainless steel finishes and polished bamboo make this party machine right at home in a tiki bar, a home bar or on a kitchen countertop. Additionally, the understated, but tropical design allows the large blender jars that hold the various cocktails to be the main attraction, meaning that this machine looks great whether full or empty. Three blender jars with 24-ounces of cocktails in each translates to 72-ounces of fun. This frozen concoction maker is a must-have for anyone who likes to throw large parties or attends tailgates regularly. It looks impressive and works even better, making it the perfect Parrothead appliance for any get-together.